Home Financial Tips Junior ISA Junior ISA`s - What Are They and How Do They Work? Junior ISA`s - What Are They and How Do They Work? As with regular ISAs, it's well worth doing your research to find best Junior ISA. But what are they, what are the benefits and how do you go about finding the best product for your child? Junior ISAs are a new way to save without having to pay tax for children under 18 years of age. They replace the old child trust funds and have been introduced by the government recently. The Treasury estimates that around 6 million UK children are eligible for the ISAs and an additional 800,000 will become eligible every year. The accounts are similar to the adult ISAs, basically acting as a wrapper for savings and investments that protects any growth in the child's savings from both capital gains and income tax. Both cash and stocks & shares Junior ISAs are set to come on the market, with children able to have one of each in their name at any one time (two products in total). The new Junior ISAs work in the same way as a regular adult product from a building society or bank. For a cash ISA, any money paid into the account will accrue interest at the provider's applicable rate. The stocks & shares Junior ISAs will allow investments in shares, bonds and other equity products, so the value of the ISA will fluctuate according to the underlying performance of these assets. How Much Can I Put into the Junior ISA? The annual contribution limit is currently £3,600 and this will apply until the 5th of April 2013, when it will be increased annually according to the changes in the consumer price index. The limit for contributions will apply across both cash and stocks and shares products, with no rules in place about how funds must be allocated between the two ISA types. No government contributions will be made to Junior ISAs. There is one key difference between the junior and adult ISA products to note - the Junior versions can be switched from cash to shares and back. Anyone can set up a Junior ISA for a child - a family member, friend or organisation - but any child who already has a child trust fund won't be eligible. The new ISAs went on sale from 1st November 2011 and all government contributions to existing child trust funds stopped from 1st January 2012. Babies born after or on this date can't get a child trust fund, but can have a Junior ISA set up for them. Also, any children who are born before September 2012 and are excluded from the child trust funds can take out a Junior ISA. When Will the Child Get Access to their Savings? When the child named on the ISA turns 18, the account will become a full adult ISA with the adult limits applying. How Do I Find the Best Junior ISA? As with any savings product, it's worth going online to do your research on the best interest rates and savings products for your family - sites such as moneysupermarket.com regularly update their best-buy tables so that you can find the most competitive ISAs and other financial products on the market. It is also useful to seek independent advice on personal finance and planning to help build a longer-term financial plan for you and your child and ensure that you are making the most from your savings. Very interesting article. 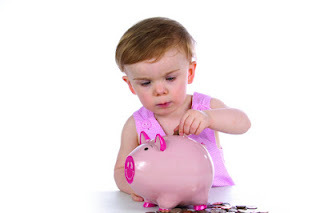 Is there any way to change from a Child Trust Fund to a Junior ISA? Is there any benefit from doing so? Thanks.